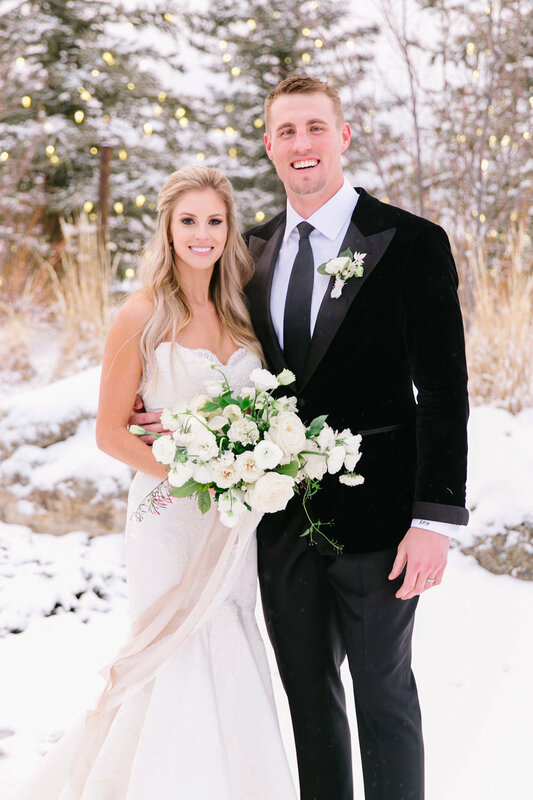 The lovely Hannah May married Broncos tight end Jeffrey Heuerman on a beautiful wintry day at Spruce Mountain Ranch. 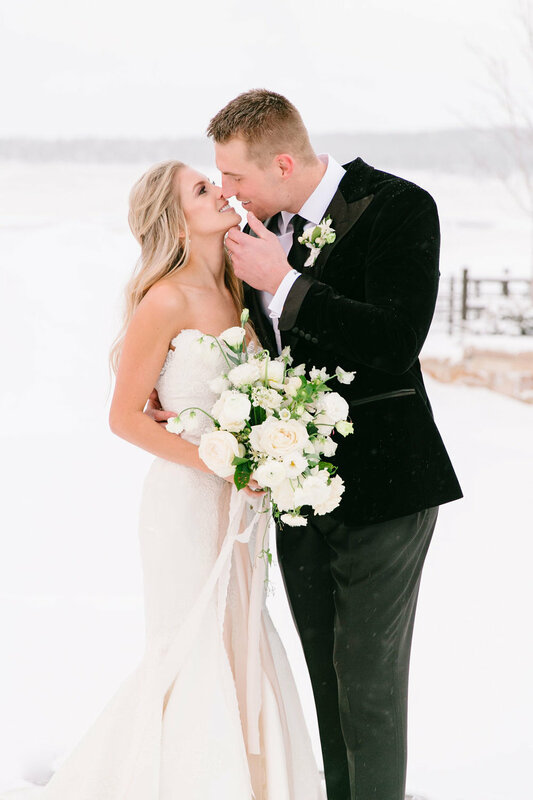 These two did not let the (absolutely stunning) snow keep them down. They are both overflowing with love for each other in every single photo. 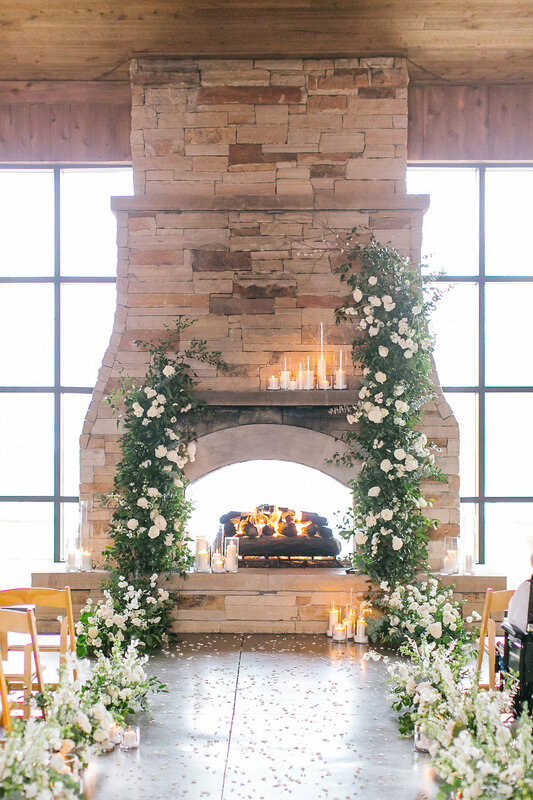 Hannah and Jeff selected a clean, classic color palette to accent the warm aesthetic of the upper ranch at Spruce Mountain Ranch, with white roses and ranunculus among deep greenery. Hannah fell in love with the Duchess gown by Matthew Christopher, which is a dramatic duchess silk trumpet gown with Alencon lace and covered buttons down the chapel train. 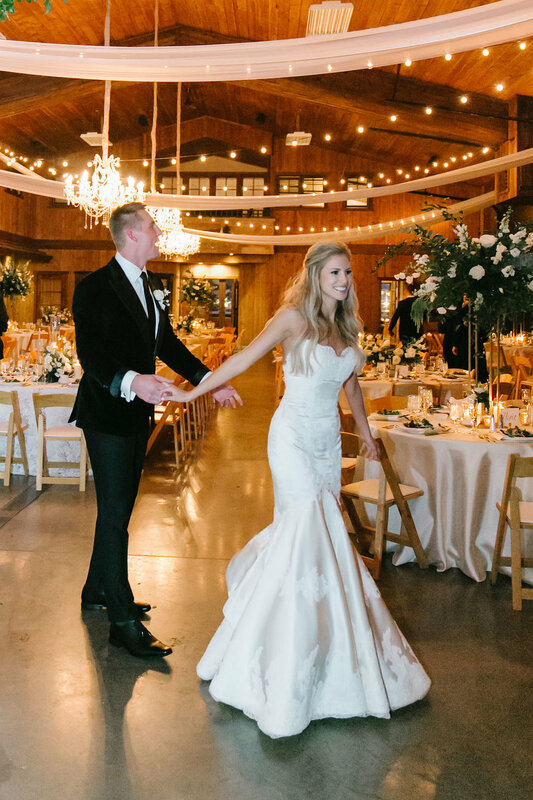 Hannah chose the Katherine veil by Paris by Debra Moreland to top off her stunning bridal look. 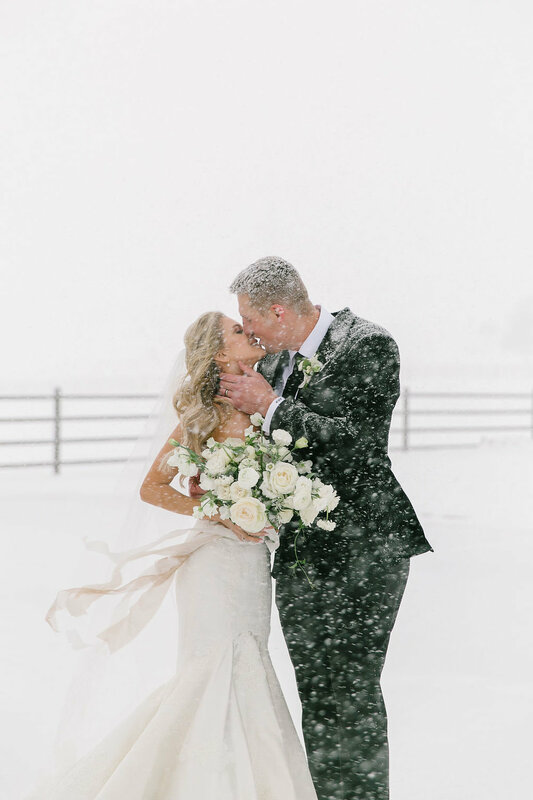 Congratulations to Hannah and Jeff on your beautiful wedding and wishing you love and happiness in your marriage!